Built in 12th century during the reign of King Kyanzittha, this temple has it all to make for a good one hour visit. 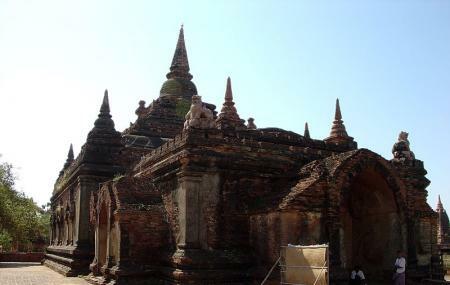 Soaked in history and Burmese culture, the Abeyadana Temple is a great place to revisit the good old times and know more about the history of Bagan. If you want to spend some lone time and avoid the bustling city life, then you should visit Abeyadana Temple for sure. If you’re an art lover, then the UNESCO restored paintings will surely treat your eyes and minds. How popular is Abeyadana Temple? People normally club together Manuha Temple and Shwesandaw Pagoda while planning their visit to Abeyadana Temple. This temple not protect well, for mural a lot of the color have been drop. Is quite sad to seeing this.